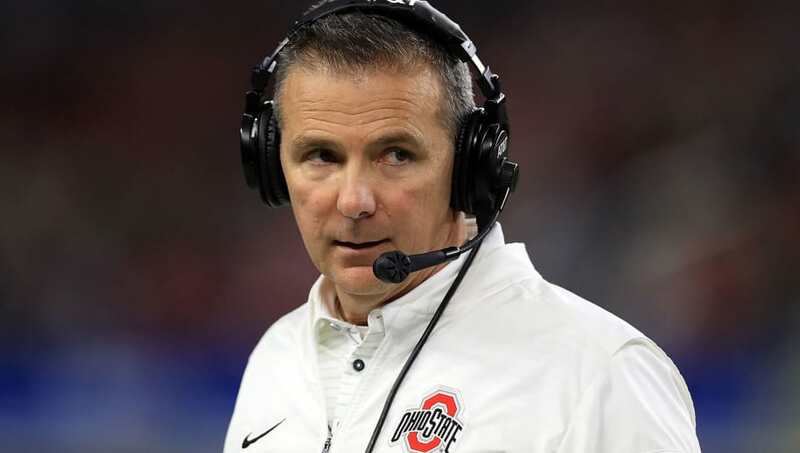 ​If you are sick and tired of seeing the Ohio State Buckeyes near the top of the rankings every year, then the latest story out of Columbus won't do a thing to ease your torment. According to head coach Urban Meyer, the Buckeyes' single biggest cause for concern is who will start at the vacant safety spot opposite Jordan Fuller. But think about what that means-- while other schools are reeling to fill holes all over the place, OSU needs to just fill one position at the back end of the secondary. And they have no shortage of exciting options. Urban Meyer called Ohio State's vacant starting job at field safety his "No. 1 concern" heading into the summer. If this is their primary concern, 2018 will easily be another double-digit victory season for the Scarlet and Grey. Defensive coordinator Greg Schiano has a ton of talent to draw upon at safety this season. The frontrunner at the moment is Isaiah Pryor, who has had a terrific spring camp. ​The Buckeyes also have four-star safety recruit Josh Proctor arriving on campus in the fall to compete for the job. But wait, there's more! Jahsen Wint, Amir Riep, Wayne Davis, and Brendon White all are pushing for playing time themselves. ​Let us not forget the Buckeyes have a highly-contested quarterback battle going on at the moment. Apparently, who replaces J.T. Barrett is not as big of a concern, which means Meyer must really like what he sees from Dwayne Haskins, Joe Burrow, and Tate Martell. This could be a long year for the rest of the Big Ten.